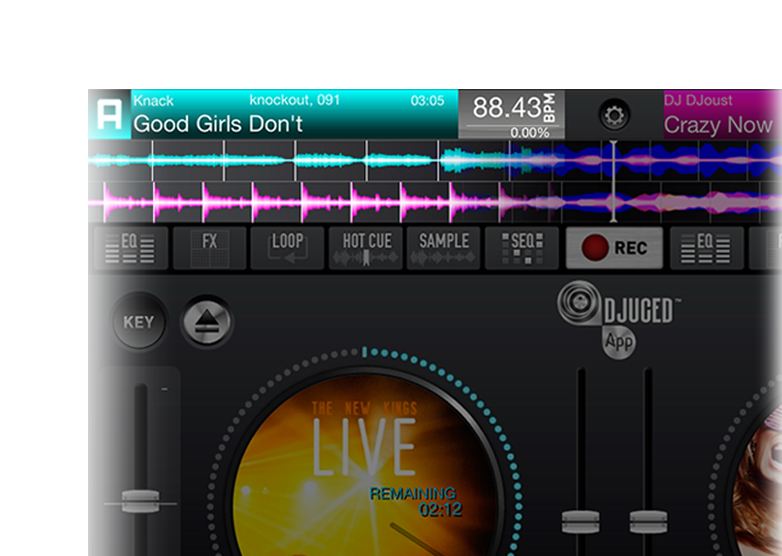 The essence of DJing in an intuitive and innovative app! 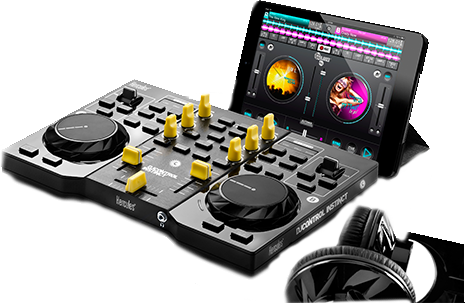 DJUCED™ App is one of the most comprehensive DJing applications available for tablets, offering all of the functionalities required to deliver complete, flawless and frustration-free mixes.  DJUCED™ App offers an unrivalled feature set for preparing mixes or lighting up a live party. And best of all, it’s so simple to use! Visualize your sound, and see the tempo like never before! DJUCED™ App waveforms feature an innovative method displaying 3 colors at the same time: 1 for bass, 1 for mids and 1 for treble. Faster, more visually appealing, and interactive, this allows you to instantly identify different sections in tracks. Waveforms also react in real time to all adjustments made in the equalizer. 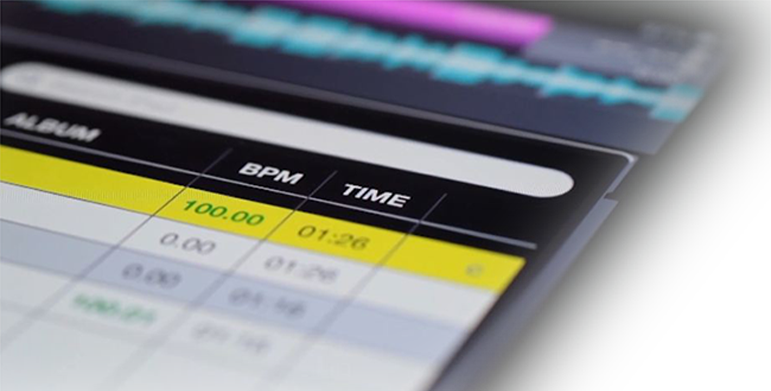 DJUCED™ App precisely analyzes the rhythm of all your tracks. Kill transitions from day one! 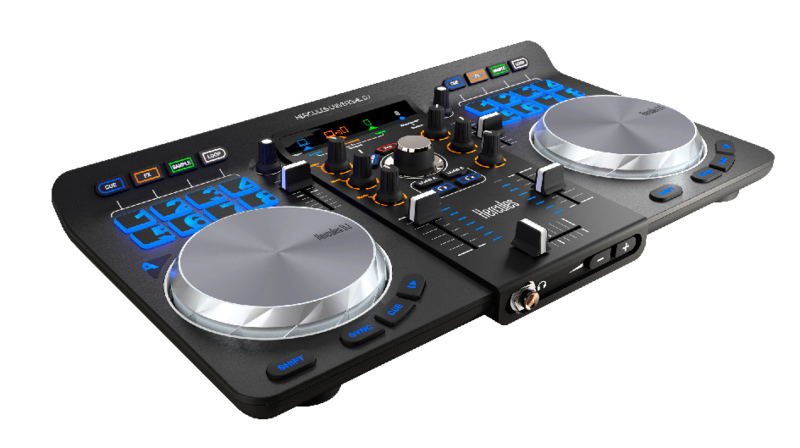 Because mixing is essentially a matter of feel, sensitivity and dexterity, the DJUCED™ team has optimized the application’s user-friendliness and ease of use: all features are placed at the user’s fingertips, in the application’s DJ toolbar, which gathers all features around an intuitive and iconic panel. DJUCED™ App offers easy access to your iTunes library and playlists. Featuring a Smart Search function and comprehensive sorting options (title, artist or BPM), it’s always quick and easy to find the perfect song. For added convenience, songs already played are clearly indicated – and the best-matching next song is suggested as well! 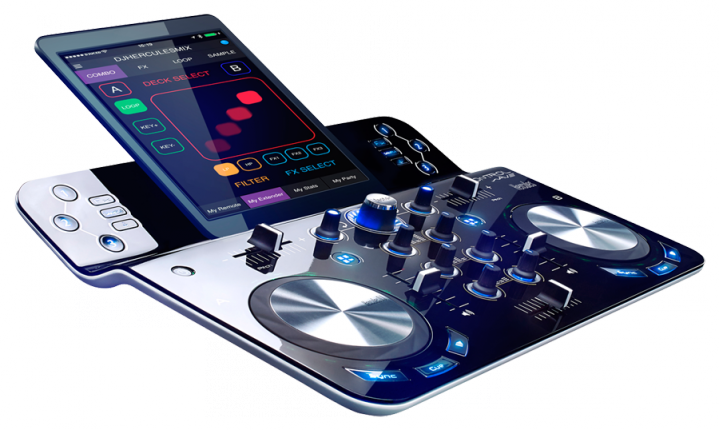 DJUCED™ App takes advantage of tablets’ core assets and lets you use touch-based expressive Fx to unleash your DJing instincts without limits. Want unique samples? With DJUCED™ App, it couldn’t be easier! Just go to the sample panel and record anything you like using your iPad’s mic (your voice, or any other sound) with a single touch. Press play: it’s in your mix! The sampler also provides automatic loop extraction and cutting features, for remixing tracks on the fly. 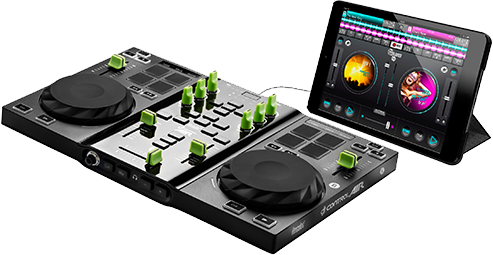 Create custom grooves and rhythms – absolutely unheard of in tablet DJing… until now. Enjoy this powerful musical creation tool, using both the embedded patterns and your own creations! All mixing possibilities are wide open! The record feature is also ideal for creating, sharing and honing your work! Because DJing is also about partying, the Automix function lets you mix and mingle: just select the playlist you want to hear, select a song in the playlist… and have fun!